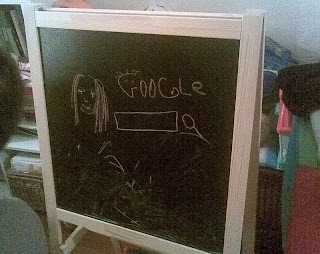 Seeing Is Believing: Google is in my house! Google is in my house! Gepost door Wim Vanhenden op 12:02 p.m.
Nice drawing, Wim, but aren't you a bit too old to play with crayons?